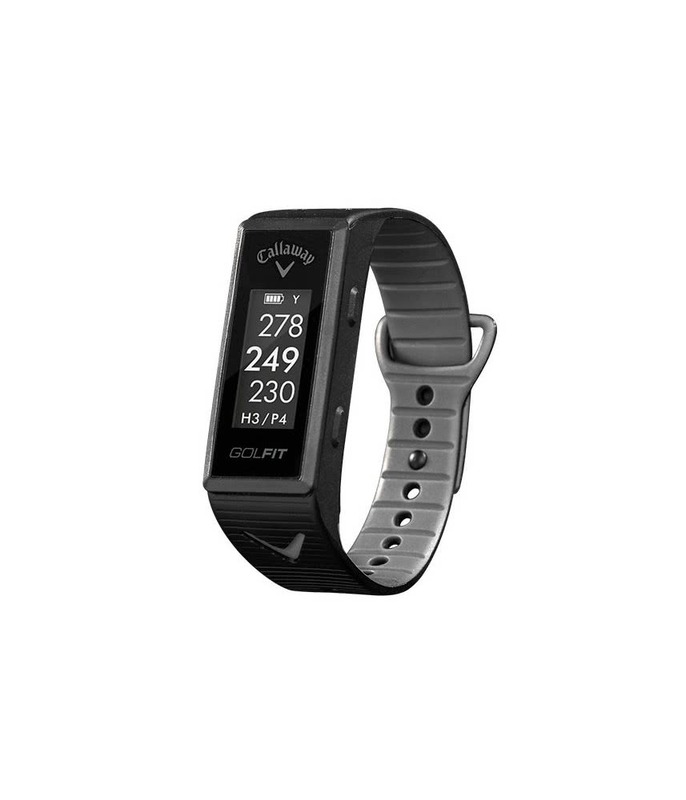 The Callaway GolfIt Sports Band features a sleek design that will provide everything from distances to your heartbeat during a round of golf. 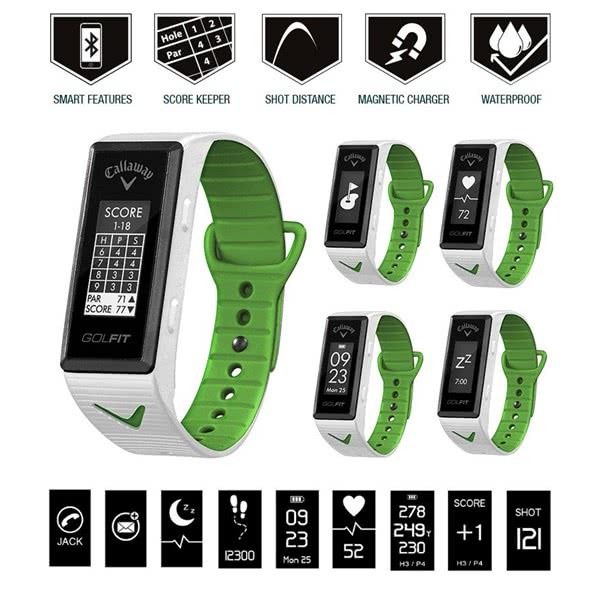 Preloaded with over 30,000 golf courses this GOS watch will give instant and accurate distances to the front, middle and back of every green, track your score, tell you how many steps you have taken and measure your heart rate while on your round. 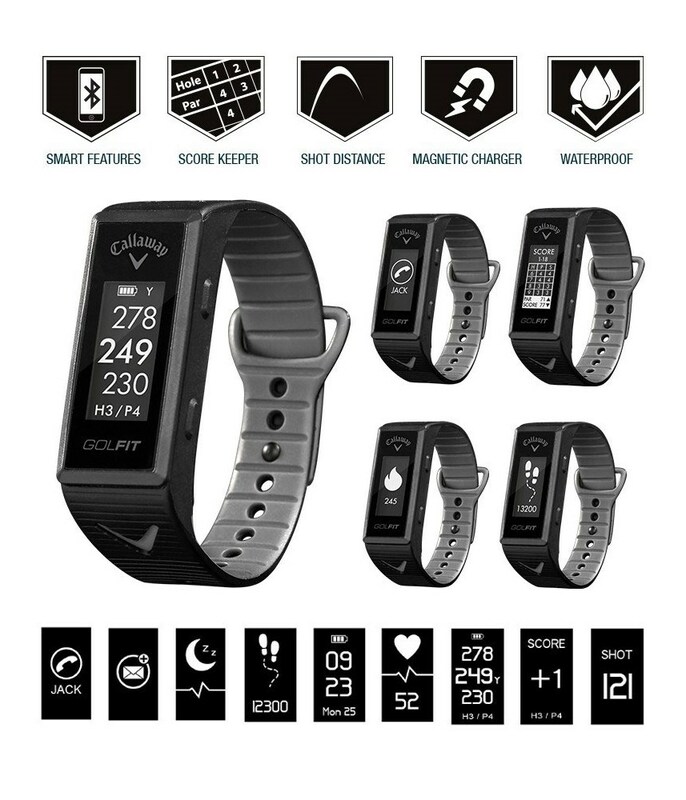 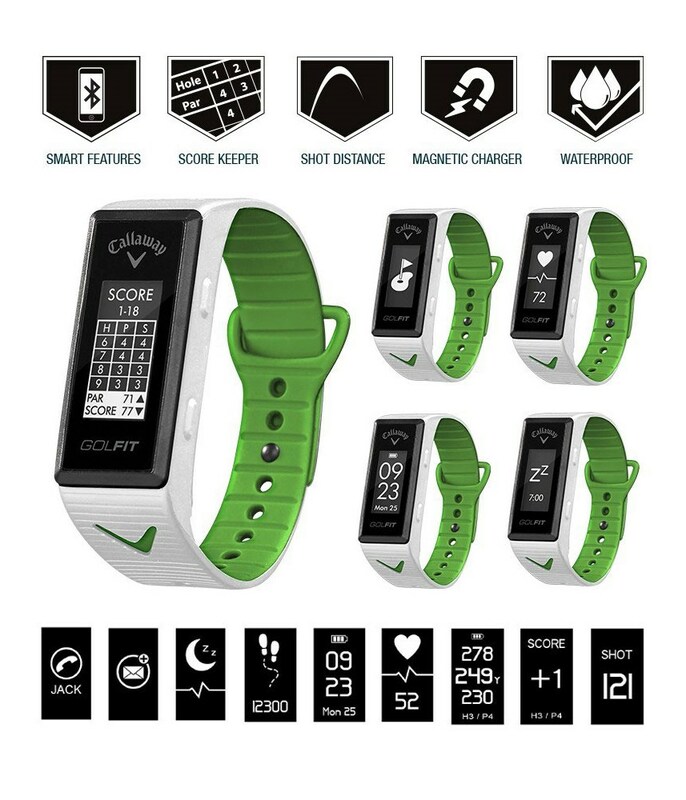 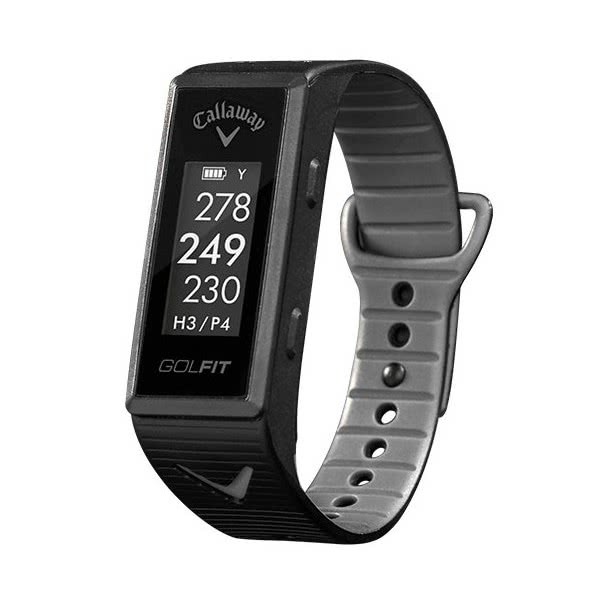 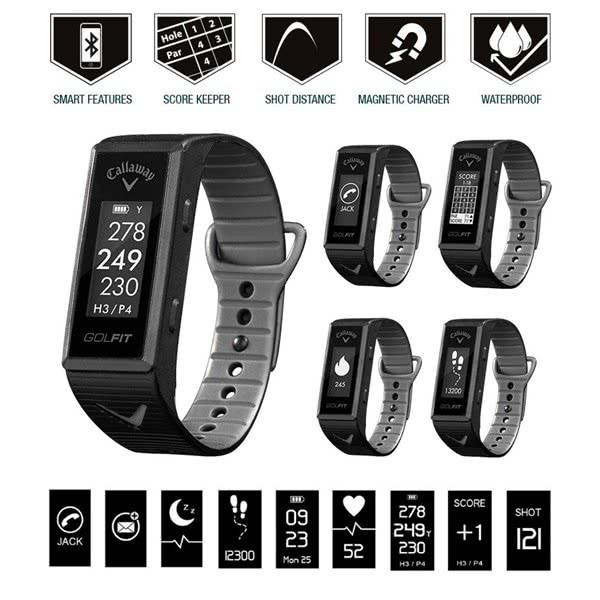 Another fantastic feature of the Callaway GolfIt Sports Band is that it can be synced up with you smartphone and provides email, call and text alerts so that you can in touch with the outside world.